I believe that Spinning, which is an indoor group spin class, is something that people of all ages and fitness levels can benefit from —I’ve seen it in myself and in my students. If you think Spinning isn’t for you or tried it and didn’t like it, here are a few good reasons to try it again. Spinning classes help motivate me to work harder and get a better workout (which means better results and higher calorie burn). Spinning is a low-impact cardio exercise, which means it’s easier on your joints, including your knees and ankles, than many other forms of cardio. Many people who are rehabilitating injuries or recovering from surgeries are advised to try low-impact forms of exercise, biking or Spinning. If you have an upper body injury, you can still ride the bike and get a good workout. 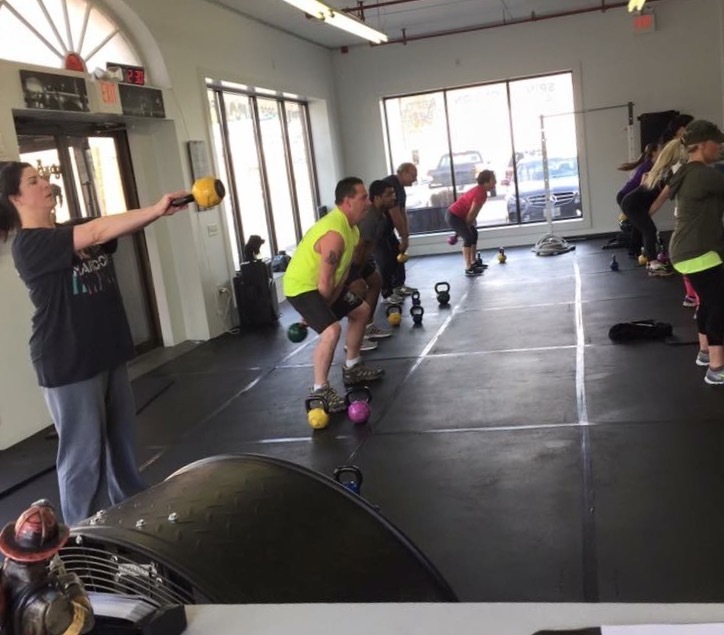 How many group workouts have you ever tried that can easily seamlessly accommodate beginners, people with injuries, young and old, and advanced exercisers in a single room? Not many, I’m sure. This means that people of all fitness levels can take the same class and all get a great workout. Spinning is non-competitive. You don’t have to feel self-conscious for “modifying” the workout, probably no one even notices if you’re going slower or choose to sit instead of standing. It might take more than one try before you can really decide if Spinning is right for you, so I always recommend trying something at least 3-5 times before you give up on it. You’ve got to get your mind connected to the workout. Pay attention to what your body’s doing. As you get focused on the ride, stress melts away as the body gets into its happy-place. 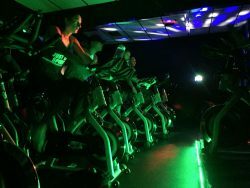 Whether your goal is weight loss or maintenance, indoor cycling torches between 400 and 1000 calories per class. Effort matters. Spin classes include both endurance and cardiovascular training, so heart health and lung capacity are some of the most obvious benefits from taking up these classes. For example, as you work harder in spinning you will learn to control your breathing. This can help to control anxiety and lower your heart rate. It’s about connecting mind and the body. Our bodies are capable of achieving amazing results, but in order to truly honor our abilities, we must challenge ourselves to push beyond our perceived limitations.